1 What does “Seaworthy” mean? 2 What can I use my Vessel for? Use of the Vessel is limited to the selection made at inception e.g Private & Pleasure Use only, Any other form of use must be referred to Us/Insurers for agreement prior to the commencement of such use. 4 What does “Transit Cover” provide? Transit cover within a marine policy only cover’s the actual boat itself, a marine policy does not cover the actual liabilities whilst the vessel is being towed which will/should be covered under a motor insurance policy. 6 Can I Let other people use my vessel? 7 How old do I need to be to insure my vessel? 8 What does “All Risks” cover mean? This is the widest possible cover available and includes physical loss or damage to the vessel caused by any accident, theft or malicious acts. As with all insurance policies there are certain exclusions within the policy wordings which should always be read carefully. 9 What Does “Third Party Only” cover Mean? 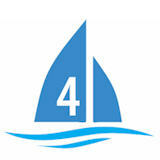 This policy is designed for cover for boat owners in respect of liability cover only. It does not cover wreck recovery or help with salvage costs. 10 What is “Liability” Cover? 11 What amount should I insure my vessel for? The total sum insured should reflect the actual purchase price plus any improvements made or a written valuation whichever is greater. 12 What should I include when deciding the total value to be insured? Items of Personal nature brought aboard for use or in connection with the vessel which would not normally be sold with the vessel (such as Lifejackets, Water proofs) we are UNABLE to cover Fishing Rods and Reels and Tackle. 15 What Does Laid Up Mean? 16 What is a Policy Excess/Deductible?